When I look back on this day all I remember are big smiles and big laughs! With the exception of a 2 minute period before the outdoor ceremony when I looked at the weather/radar and saw a giant red blob heading our way and had a moment of curiosity as to how this was going to go down (and if we should start sending people to the tent as the safer option) everything else was perfect! Both Alex and Becky were so gracious and kind, and totally up for it all! 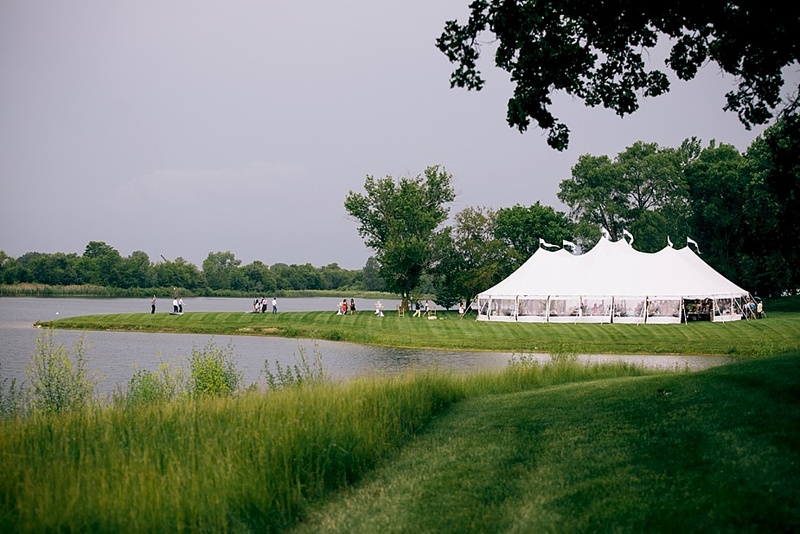 They didn't let the rain scare them away from having a gorgeous outdoor ceremony! Apart from getting sprinkled on a few times it didn't start raining until after family formals, and after that we were headed to the tent for the reception! Here's a handful of my favorites from their wedding day! Since it started raining right after family formals there wasn't really much of a chance to take pictures with just Alex + Becky, which for me is a bit stressful. It was pouring down buckets for a significant portion of the reception so I was starting to get nervous. But then magically it cleared up for about 20 minutes and we were able to sneak away and grab some of just the two of them!